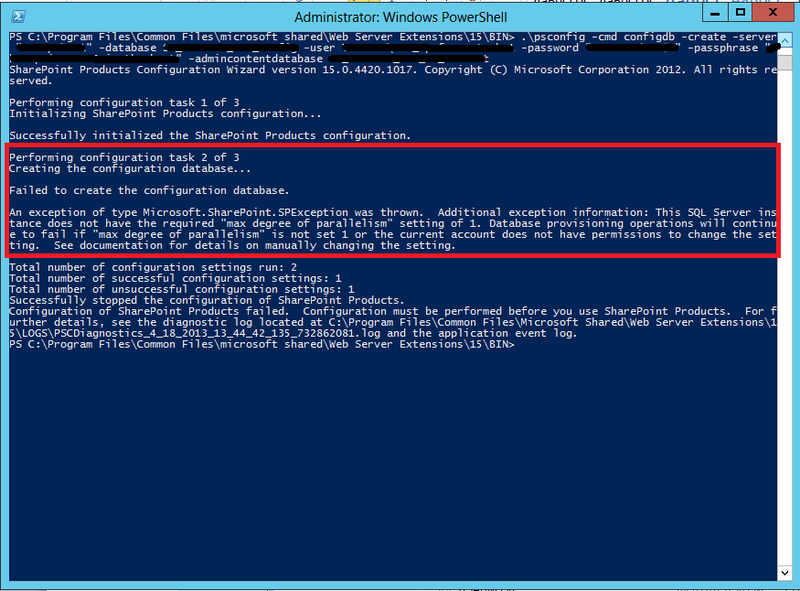 When I was installing SharePoint 2013, I ran into the above error while running the PSCONFIG command after installing the SharePoint binaries. 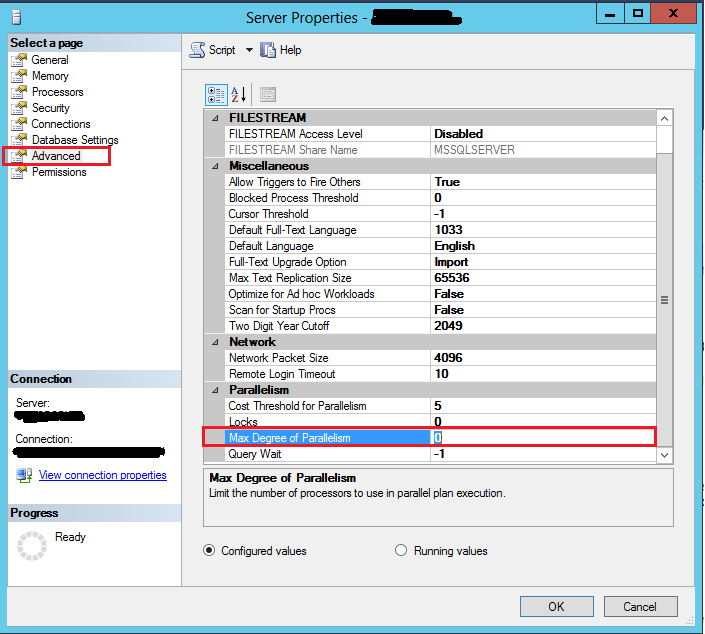 From SQL server management Studio, right click your server in Object Explorer and click Properties. Under the Advanced group modify the property “Max Degree of Parallelism”. Change the value to 1. 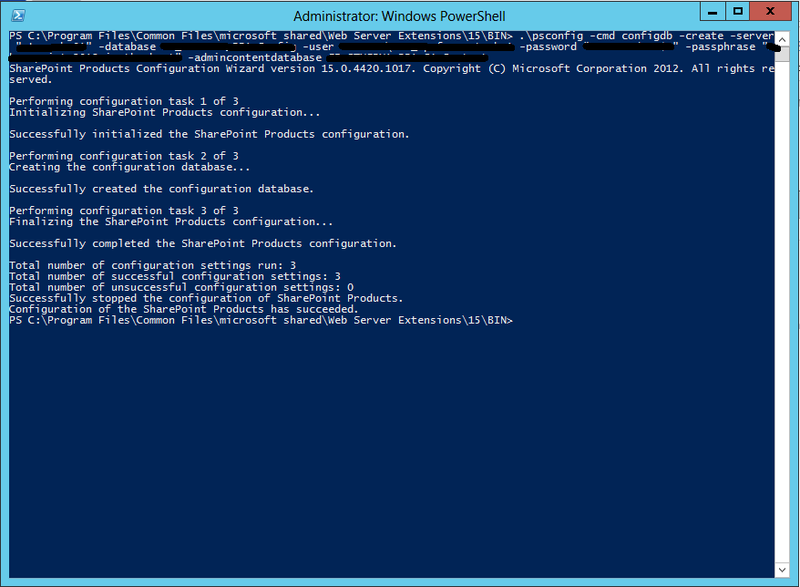 I deleted the already created databases in the SQL Server and ran the PSCONFIG command again. After the installation, i can reset the value to 0?